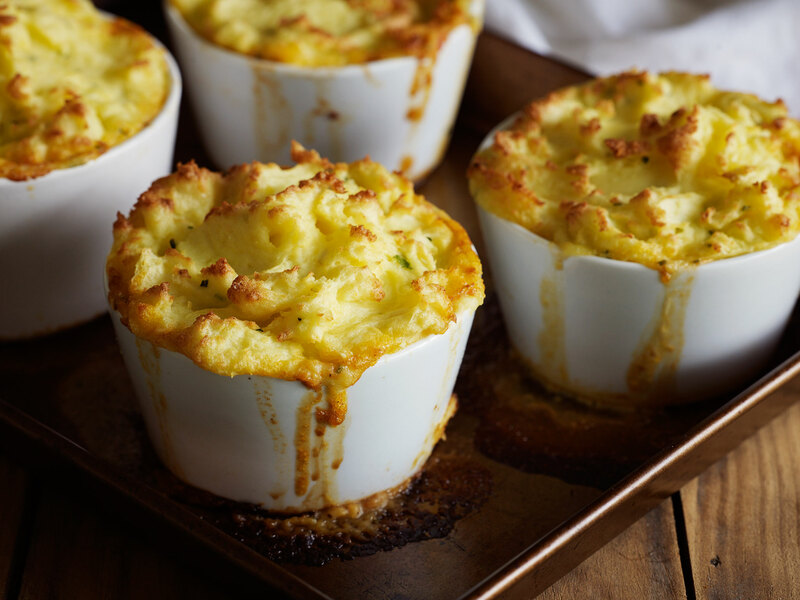 Fish pies are given a razz up with spicy chorizo – never tasted better! Sliced chorizo gives this fish pie a hint of smoky complexity, while spinach and tomato give the filling a lively colour. The whipped cheesy potato tops it off – just lovely. 1 Put potatoes in a large saucepan, cover with water, add a few good pinches of salt, and bring to the boil. Partially cover pan with a lid and cook at a gentle boil until tender. Drain, dry off for a few moments then mash with a potato masher, adding butter, hot milk and ½ teaspoon of salt (or to taste). Whip in chives and cheese. 2 Brown chorizo briefly on both sides in a hot oiled medium-sized pan (skillet). Transfer to a plate. Wipe put pan. Add 1½ tablespoons of oil, let it get hot, then and add the onion. Fry onion until tender and lightly golden. Add tomatoes and sizzle for 2-3 minutes. Add spinach and stir until it collapses. Stir in cream, chorizo and ½ teaspoon of salt. 3 Preheat oven to 190°C (375°F). Rinse fish, pat dry with paper towels and cut each fillet into 3-4 pieces. Mix with creamy mixture. Transfer to a buttered pie dish or 4 small dishes, scraping in all the juices. Pile potato on top. Put pie dish/es on a baking sheet to catch overspill. Bake for 25-30 minutes, until potato has browned and fish is just cooked through. Serve immediately. Fish pie for tea tonight was divine! everyone wanted seconds. 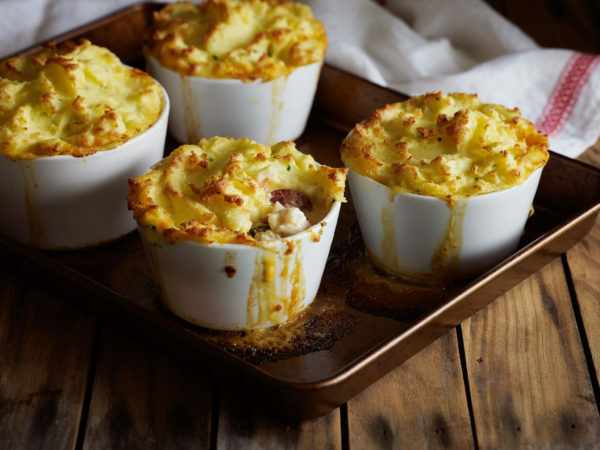 These chorizo and fish pies are absolutely delicious. Thank you.